This entry is filed under Events. Wedding hotel banquet halls vary in sizes, facilities, and appeal. When choosing one for your wedding reception, consider many different factors to guarantee that only the right facility is chosen. Oftentimes, choosing a venue is further deliberated by considering a number of restrictions that hotel halls have regarding outside vendors, such as the photography and the catering provider. 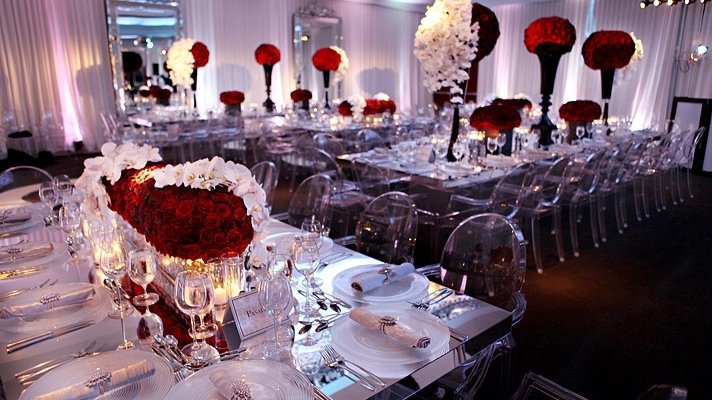 Picking the right banquet could be one of, if not the most, difficult tasks involved in wedding planning. Since wedding hotel banquet venue come in many different forms and sizes, each of them offer wide array of features that are unique from the others. Many hotels in Singapore have large halls with plenty of space for dancing and enough room to accommodate a band or a DJ. In addition to that, a wedding reception hall must have ample space for the dining tables. Since it’s expected that perfect wedding banquet Singapore receptions involve a lot of moving, it’s important to ensure that the tables are spread out to minimize too much traffic in the area. Another feature that adds glamor to a hotel banquet hall is appropriate lighting. Paying for a small difference for custom lighting of your venue will surely impress your entire entourage and make the event even more memorable. It’s important to keep in mind that banquet halls are intended to host perfect weddings and other social events. When you compare services and amenities of a wedding hotel banquet and another choice of reception venue, such as a restaurant, you’ll find that banquet halls are a much more beneficial choice. Apart from the superior services and facilities, banquet halls are more private and customizable, which restaurants are rarely able or cannot provide at all. 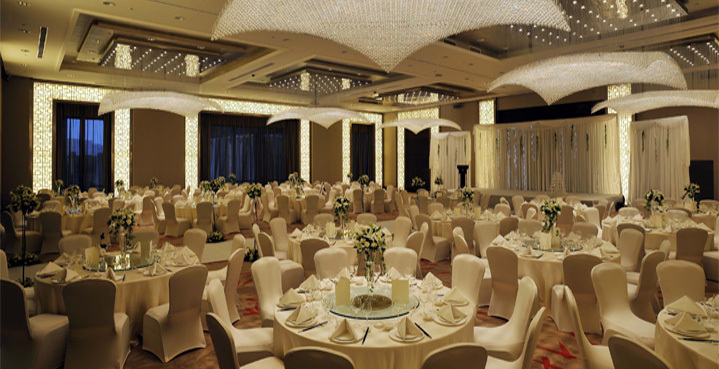 Hotel banquet venues in Singapore are usually priced per guest; therefore, the total price of a wedding package depends on the number of attendees. In most Singapore banquet halls, the cost per person usually ranges from $100-$200. The fee already includes a buffet of your choice; however, an additional fee is incurred if you wish to include an open bar in the reception. You may be required to pay an amount anywhere from 15 to 30 percent of the overall cost on the moment you book the banquet hall. After everything has been settled, most hotels require their clients to pay the remaining balance no later than three weeks before the day of the event. Refunds for cancellation of reservation typically follow the same three-week rule, so be aware of the deadlines when planning your perfect wedding. It is common to many Singapore hotels to require their clients to use their in-house services when booking them. The exclusivity agreement often cost couples 10 to 15 percent more than the rate of hiring outside vendors. On top of that, many in-house vendors are of low quality compared to third-party vendors. Bridal couples must find out first the quality of vendors that their chosen establishment offers before sealing the agreement. Your reception venue will be the memorable place where you and your soon-to-be-spouse begin a new chapter of your life as husband and wife. Therefore, before you start your hunt for a reception site, get the chance to know first what banquet halls can offer to your wedding.